BREAKING news in this exclusive interview from SGT Report with the founder of AE911Truth.org Richard Gage and the two Lawyers who are joining with him to sue the FBI & DOJ over 9/11. Fund only has $2.4bn to pay 19,000 claims, plus thousands more expected to file before it closes at the end of 2020. Sick first responders and survivors of the 9/11 terrorist attacks will see payments slashed dramatically as the fund to compensate them runs out of money, officials said Friday. The fund was created to aid people sickened by exposure to toxins at the sites of deadly attacks on the World Trade Center and the Pentagon in 2001, and the families of those who have died. At first glance that sounds reasonable. Nobody wants YouTube or anyone else to recommend bad information. And almost everyone agrees that phony miracle cures, flat earthism, and blatantly false claims about 9/11 and other historical events are undesirable. But if we stop and seriously consider those words, we notice a couple of problems. First, the word “recommend” is not just misleading but mendacious. YouTube obviously doesn’t really recommend anything. When it says it does, it is lying. Many millions of people hold (sic) conspiracy theories; they believe that powerful people have worked together in order to withhold the truth about some important practice or some terrible event. A recent example is the belief, widespread in some parts of the world, that the attacks of 9/11 were carried out not by Al Qaeda, but by Israel or the United States. Those who subscribe to conspiracy theories may create serious risks, including risks of violence, and the existence of such theories raises significant challenges for policy and law. Sunstein argues that conspiracy theories (i.e. the 9/11 truth movement) are so dangerous that some day they may have to be banned by law. 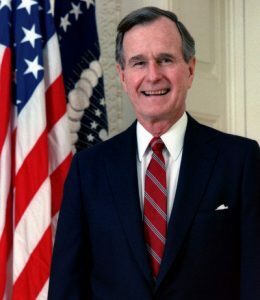 While awaiting that day, or perhaps in preparation for it, the government should “disable the purveyors of conspiracy theories” through various techniques including “cognitive infiltration” of 9/11 truth groups. Such “cognitive infiltration,” Sunstein writes, could have various aims including the promotion of “beneficial cognitive diversity” within the truth movement. What sort of “cognitive diversity” would Cass Sunstein consider “beneficial”? Perhaps 9/11 truth groups that had been “cognitively infiltrated” by spooks posing as flat-earthers would harbor that sort of “beneficial” diversity? That would explain the plethora of expensive, high-production-values flat earth videos that have been blasted at the 9/11 truth community since 2008. Manila Chan reports on the hacker group asking for $2 million in bitcoin for a full leak of so-called 9/11 papers. The group ‘Dark Overlords’ has been responsible for previous hacks. Manila Chan speaks with Investigative Journalist Ben Swann about this group, whether or not they are credible and how much the leaks would intrigue the public. November 15, 2018 “Information Clearing House” – WASHINGTON — The price for America’s longest wars has surpassed more than $5.9 trillion and at least 480,000 lost lives, according to a new study released by the Watson Institute for International and Public Affairs at Brown University. The figures highlight the toll of U.S. war operations around the world since the Sept. 11, 2001, terrorist attacks, and the study projects the numbers could rise. The study’s death estimates include nearly 7,000 U.S. service members, nearly 8,000 U.S. contractors, more than 100,0000 military and police members from other countries, more than 244,000 civilians and more than 100,000 opposition fighters. It also includes war-related spending by other agencies, such as the State Department and the Department of Homeland Security, costs of veterans care as well as debt used to pay for the wars. “Veterans benefits and disability spending, and the cost of interest on borrowing to pay for the wars, will comprise an increasingly large share of the costs,” said Neta Crawford, a political science professor at the institute, who authored the study. The institute’s “Costs of War” project, with 35 scholars, legal experts, human rights practitioners and physicians, began tracking the costs of the post-9/11 wars in 2011 and continues to release updated reports. The group, which does its work through Brown University, said it uses research and public data to facilitate greater transparency of the actual toll of the wars. Even if the wars were to end by 2023, the United States is on track to spend an additional $808 billion, bringing the overall tally to at least $6.7 trillion, according to the study. That doesn’t include future interest payments on the spending. War appropriations for Iraq and Afghanistan are funded by deficit spending and borrowing, and not new taxes or war bonds, the study notes. This adds to interest costs, it concludes. Those interest payments could shift with the winds of the economy and other factors, with some pundits estimating those fees alone could total trillions. “The U.S. continues to fund the wars by borrowing, so this is a conservative estimate of the consequences of funding the war as if on a credit card, in which we are only paying interest even as we continue to spend,” Crawford said. Tracking an overall cost for the post-9/11 wars is challenging because different departments take part in the spending. In March 2018, the Defense Department estimated it had spent $1.5 trillion in war-related appropriations, but that only includes a portion of all war spending, the study argued. With no single number for the budgetary costs of the wars, it makes assessing costs, risks and benefits difficult, Crawford said. Because taxpayers tend to focus on direct military spending, it discounts the larger budgetary costs of the wars and underestimates its greater significance, she added. The study also tallied the number of soldiers and sailors injured in the wars. Since 2001, more than 53,700 U.S. servicemembers have been injured in Iraq and Afghanistan. Of those injuries, 62 percent were hurt in Iraq, while 38 percent were injured in Afghanistan. Though the fighting in Afghanistan and Iraq has been less intense than in recent years, the toll of civilians killed in Afghanistan in 2018 is on track to be one of the highest death tolls of the war, Crawford said in her study. Most of these war deaths in Afghanistan, Iraq and Syria have been caused by militants, but some of them are at the hands of the United States and its coalition partners, Crawford said. 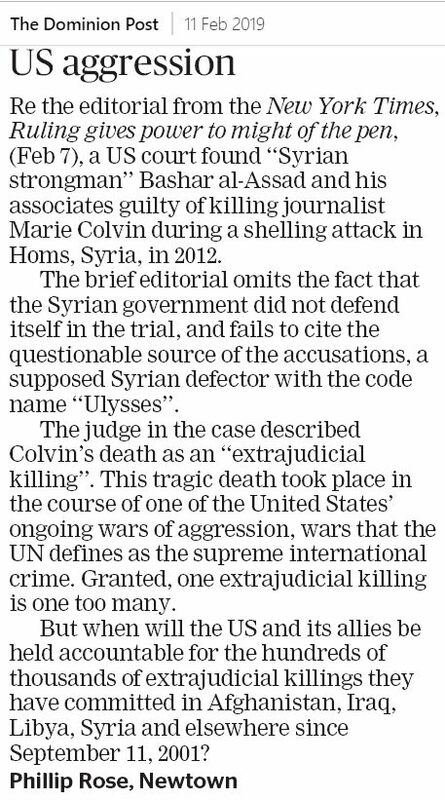 Yet, the tally remains incomplete, and there are efforts by the United Nations to track and identify perpetrators of those deaths and injuries, she noted. Other organizations, such as the Congressional Research Service and the news media, are also attempting to track these figures. “Indeed, we may never know the total direct death toll in these wars,” she said. In addition, this tally does not include “indirect deaths” — people harmed as a result of long-term damage left in the war zones, such as lost access to food and water. CIA doctors considered using a “truth serum” on suspected terrorists in detention after waterboarding appeared to be ineffective and traumatic for US personnel who witnessed it, according to newly declassified documents. The proposal to use the drug in a programme codenamed “Project Medication” was revealed in a 90-page report by a senior CIA medical officer, which was released on a judge’s order to the American Civil Liberties Union (ACLU), after a prolonged legal battle. The ACLU published the report by the unnamed officer on Tuesday. The idea of using drugs on US captives in the “war on terror” was recommended as “probably worth a try” by the CIA’s office of medical services but dropped after the agency’s counter-terrorism centre decided not to ask the Department of Justice in George W Bush’s administration for a legal ruling. The department had previously provided legal memos justifying the use of torture like waterboarding and confinement in small boxes. The CIA report, which reviews the medical office’s participation in detainee operations from 2002 to 2007, shows that the agency’s medical staff played a key role in interrogations in the days after the 9/11 attacks. They took part in over 120 rendition flights, taking prisoners to secret CIA detention centres. They helped keep inmates alive and provided the appearance of medical rectitude. The CIA report notes that its doctors were “indispensable” to the effort of “legitimising the programme”. In the case of Khaled Sheikh Mohammed, the al-Qaida mastermind behind the 9/11 attacks who was waterboarded 140 times, the CIA medical officer said that the torture, which simulates the experience of drowning, “provided periodic relief from his standing sleep deprivation”. 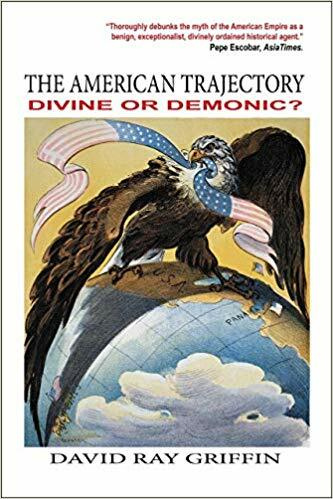 New Book by David Ray Griffin -The American Trajectory: Divine or Demonic? Little did we know at the time, 9/11 was not a normal day of blue sky aviation. On the contrary, it was one of the busiest days in the history of American aviation, a dense forest of live fly exercises, drills, simulations, fake radar injects and utter confusion. And that was before the attacks even began. This is the story of 9/11 that you didn’t watch unfold on your TV that fateful day in 2001. This is the story of the 9/11 War Games.